Wal-Mart wins the battle of Civil War Wilderness. ORANGE, Va. -- Local officials early Tuesday approved a Walmart Supercenter near one of the nation's most important Civil War battlefields, a proposal that had stirred opposition by preservationists and hundreds of historians. The Board of Supervisors voted 4-1 to grant the special permit to the world's biggest retailer after a majority of more than 100 speakers said they favored bringing the Walmart to Locust Grove, within a cannonball's shot from the Wilderness Battlefield. Historians and Civil War buffs are fearful the Walmart store will draw traffic and more commerce to an area within the historic boundaries of the Wilderness, where generals Ulysses S. Grant and Robert E. Lee first met in battle 145 years ago and where 145,000 Union and Confederate soldiers fought and 29,000 were killed or injured. One-fourth of the Wilderness is protected. But they could not sway supervisors, who said they didn't see the threat. "I cannot see how there will be any visual impact to the Wilderness Battlefield," Supervisor Chairman Lee Frame said, casting a vote for the special use permit Wal-Mart needs to build. "I think the current proposal ... is the best way to protect the battlefield." Wal-Mart said construction could begin in a year. Nearly 400 people crowded into Orange County High School to attend the board's hearing. Some came dressed in period costume, including a dead ringer for Lee, and one speaker ended his remarks with a rendition of "The Battle Hymn of the Republic." Many residents cited three reasons for supporting the Wal-Mart proposal: jobs, tax revenue and a cheap shopping option for the 32,000 residents of this farming community about 60 miles southwest of Washington. "I know we've been referred to as ignorant shoppers," said Barbara Wigger. "I feel bad about that but I'll live with it. Let us have our Walmart and let us stop the battle." Speakers who urged the board to reject the special permit said they were not anti-Wal-Mart, but simply worried about the sanctity of the Wilderness. "This is a major battlefield," said Charles Seilheimer Jr. "It may not be Gettysburg but it's pretty close. The Civil War experts say this is part of the battlefield. I believe them." Charles Edge said supervisors should not allow Wal-Mart to build on ground "marked by the blood of the fallen." "The establishment of a retail chain makes a mockery of that sacrifice," he said. Supervisor Teri Pace, who cast the lone dissenting vote, suggested an alternative site, and said the county's historic attractions were the key to its economic future. 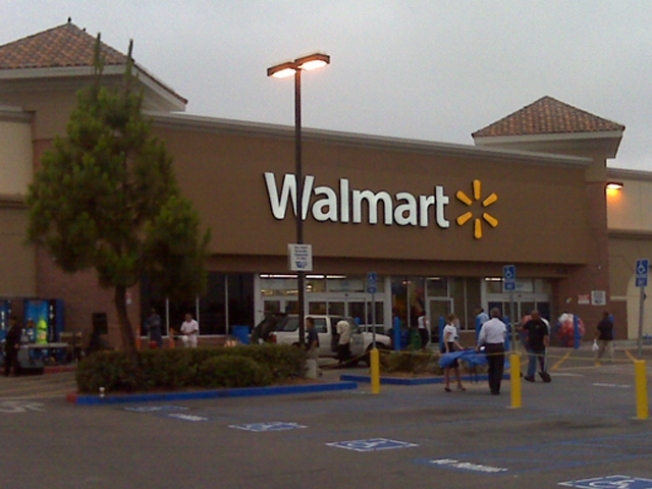 "This difficult economy will not be solved by Wal-Mart. Wal-Mart is only part of the equation," she said. In a state with more key Civil War battlefields than any other, Wal-Mart's plan to build near the Wilderness had mobilized historians, preservationists and politicians. Opponents include 253 historians such as David McCullough and James M. McPherson, filmmaker Ken Burns, actor Robert Duvall, Gov. Timothy M. Kaine, and congressmen from Vermont and Texas, states that lost many men at the Wilderness. Preservationists could not make the case to the board and many residents said a Walmart would not diminish an area that already is home to two strip malls and about 20 retail shops, including a McDonald's. Supervisor Mark Johnson, who supported the special permit, berated some members of the preservation community who he said had "twisted the truth" on the historic significance of the site. He argued that history is more than the contours of a battlefield and granite monuments. "It's the deeds and the lives that our ancestors lived, the sacrifices they made," he said. Wal-Mart, which has 8,000 stores worldwide and adds about 240 each year, countered that the site is zoned for commercial use and the store will not be within sight of the battlefield's 2,700 protected acres. The retailer has also said the store will create hundreds of jobs and generate $800,000 in tax revenue for Orange County. People streamed into the meeting wearing their allegiances on their lapels: Wal-Mart's signature smiley faces representing store supporters, and green stickers on those seeking a site farther away from the Wilderness Battlefield. A small army of re-enactors and historic interpreters, such as Al Stone of Hinton, W.Va., who represented Lee, spoke against the store.